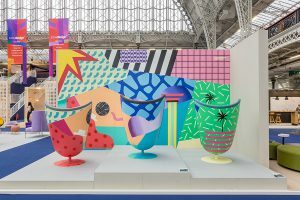 The well-known Badminton armchairs were shown in an urban, colourful and fun installation, created by Antonyo Marest for Actiu, which was the most referential issue of the 100% Design pavilion, in Olympia, West London. 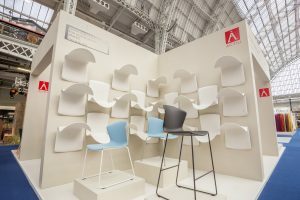 Also, at the same booth, Actiu made another artistic installation in the form of waves to present our new super-stackable chair called Whass. 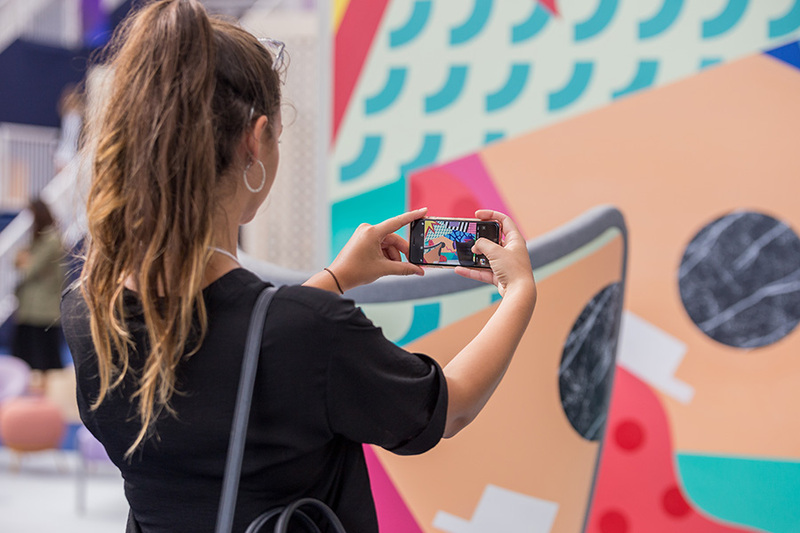 The real novelty has been the launch of Karbon, our most powerful bet as a vanguard and ultralight product for the firm from Alicante, which chose the Designjunction as the main stage, to make this product known. Karbon has had a resounding success, both for its design, the sophisticated use of the material, and its surprising lightness. 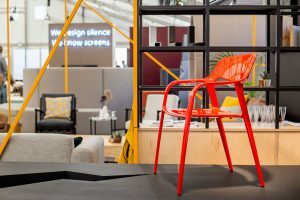 With this chair Actiu opens a new line of research and innovation, with the possibility of incorporating new productive processes and materials with values and vision for the future.